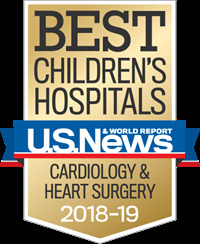 over three decades of experience, the Division of Pediatric Cardiothoracic Surgery at UCSF is a world leader in the field, performing complex surgeries including repair of congenital defects, Norwood procedures, Arterial Switch and Ross procedures. Our surgeons also perform many operations using minimally invasive techniques that reduce hospital stays, speed recovery time and decrease scarring. Our care and innovative approaches build on the latest research in the field. Many of our treatments were developed by internationally recognized leaders at UCSF. Our surgeons are also outstanding teachers, training the future doctors of tomorrow and conducting international outreach activities to enhance pediatric cardiothoracic care in the community. Our program also has an outstanding fellowship program.